You can enter the Samsung Giveaway from Justin Tse for your chance to win a Samsung Galaxy S10 valued at over $899! 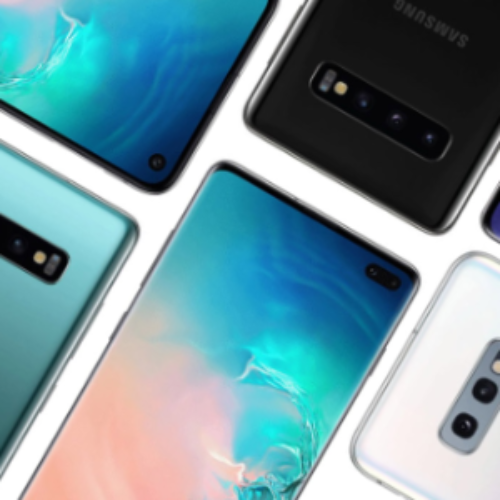 The highly praised S10 is the next generation of Galaxy phones that features an in-display fingerprint unlock, an intelligent battery, pro-grade cameras and no notch! You can gain extra entries by taking action on social media. Entry ends April 10, 2019. It’s hard to believe that phones now cost more than many PCs and laptops. Of course, when you consider that a phone is in fact now a tiny computer, with processors and memory that far exceeds what we once had in our desktop computers, I suppose it makes sense. If you’re like me, you can’t afford to chase the latest and greatest smart phone tech that is released even more frequently now than it ever has been before. That’s why this is a great sweepstakes to help those who can’t afford a new thousand dollar phone every 6 months. I have to say I have seen some of the most positive reviews for this Samsung S10 that I have ever seen for Android phones. Many are calling it the phone to beat for 2019. It is the biggest, fastest, most powerful Galaxy phone ever released. The 6.4-Inch Quad HD+ AMOLED screen provides beautiful images. It’s water resistant. And it still has the 3.5mm headphone jack that has been so dreadfully removed from Apple devices. I sincerely hope one of Granny’s fans or subscribers is the one that wins this innovative new smart phone, and I wish all of you the best of luck. When most of us pay monthly for our phones, we fail to recognize just how expensive they really are. Winning one for free would provide a huge savings for anyone! I really need this phone, my current phone has a screne problem. I would like to Win a Samsung Galaxy S10 from Justin Tse. Great. !I’m in need of one.